Juniors Nick Bonde and Kevan Casson are running for LSA SG President and Vice President. Bonde is a double major in Political Science and International Studies with a focus on International Security, Norms, and Cooperation in addition to a minor in Spanish Language, Literature, and Culture. His running-mate, Casson, is majoring in Sociology with a focus on Law Justice and Social Change and is minoring in Moral and Political Philosophy. How did you get involved in LSA SG? Nick Bonde: I got involved in LSA SG during the Winter semester of my freshman year here at the University. I ended up going to a committee meeting with a friend and was immediately interested in it. I became an Elected Representative by the end of that Winter term. From there, I have held various vice-chair positions as well as my current Executive Board position as Secretary. What made you decide to run for LSA SG President? Why did you choose Kevan Casson as your running mate? NB: I decided to run for LSA SG President due to my knowledge and involvement all around LSA SG. This is the only organization I am a part of, but I dedicate most of my free time to it. I have seen first-hand the change that we (as individuals and as a community) can make on campus. I know I can help the Government truly advocate for all students’ interests. I chose Kevan as my running mate because of her enthusiasm and work ethic. If you know Kevan, you know she is one of the nicest and most outgoing people you’ll ever meet. As the current External Relations Officer, Kevan is responsible for chairing the Communications Committee as well as handling all social media and advertising for the Government. She is an incredible leader, and I asked Kevan to be my running mate because I know she is as passionate about LSA SG as I am. I also know she can help me lead LSA SG next year to being the best version it can be! What makes you different than other candidates running for LSA SG President/Vice President? NB: Our platform is very internally focused compared to the other candidates. A lot of what we want to work on helps fix the current issues happening in the Government right now. Our goal is to implement our platform points by the end of the 2019 Fall semester so we can focus on implementing change on and around campus for the rest of our term. What is a major issue on campus you’d like to address as President of LSA SG? NB: A huge problem on campus is that students do not know a lot of the resources available to them on campus. 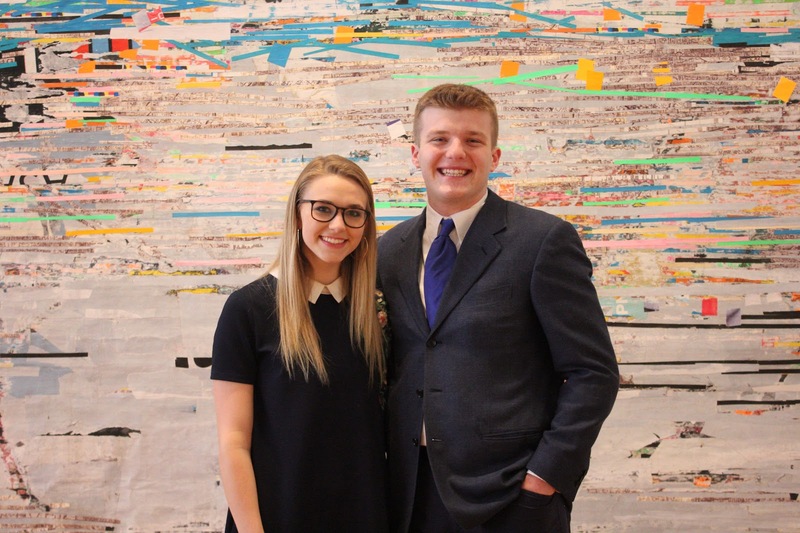 As President and Vice-President, Kevan and I want to make LSA SG a tool that students can use to connect them to different student organizations, administrators, and offices. We aren’t the only students that can help improve LSA, and this is something we mention all the time. This is #YourLSA (our little slogan). We want students to realize how much we can really do to connect them to the resources they should know about and help improve! What are your thoughts on the BDS movement, specifically here at the University? NB: BDS is a widely controversial and complex topic, especially here at the University. I know that a resolution was passed in CSG last year regarding BDS. LSA SG handles issues strictly in the College of LSA and BDS is not just an issue in LSA. As for my personal views on the matter, I would prefer not to answer. LSA SG is here to help students stay up-to-date on controversial issues like BDS. Additionally, I will add that we support all of our constituents, we are keeping up with CSG’s legislation, and we are doing our best to stay educated on this. Similarly, what’s your approach to sensitive topics like free speech or safe spaces on campus? NB: Like our stance on BDS, we use a similar approach when it comes to topics like free speech. Since LSA SG is a non-partisan organization, we are not permitted to take an official political stance or condemn any particular speakers or movements. Instead, when these issues arise, we make sure to keep constant contact with students and the administration and provide our constituents with the most accurate information possible. I can talk about safe spaces. Both Kevan and I believe they are necessary to talk about sensitive topics and events, such as the active shooter scare on March 16th. We do believe that every student should feel safe and welcome here on campus, and safe spaces are used to talk freely in a safe environment about these sensitive issues. Anything else you want to say to voters? NB: Please go vote this Wednesday and Thursday at vote.umich.edu! We have some great candidates this year, and we want everyone to participate. Look for us around campus on Tuesday, March 26th! We will be handing out flyers around the Diag and Angell/Mason Hall! Check out our Facebook Page and the LSA SG website for more information on the election!